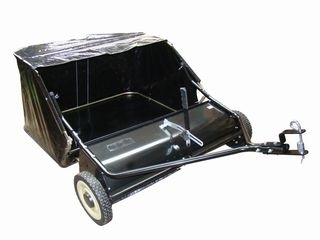 This robust CT2202 42 inch tow-behind lawn sweeper from Neilsen will pick up litter, debris, twigs, grass, leaves, and more. It is quicker and easier than traditional, back breaking hand raking. come loose. Apart from that it does the job.